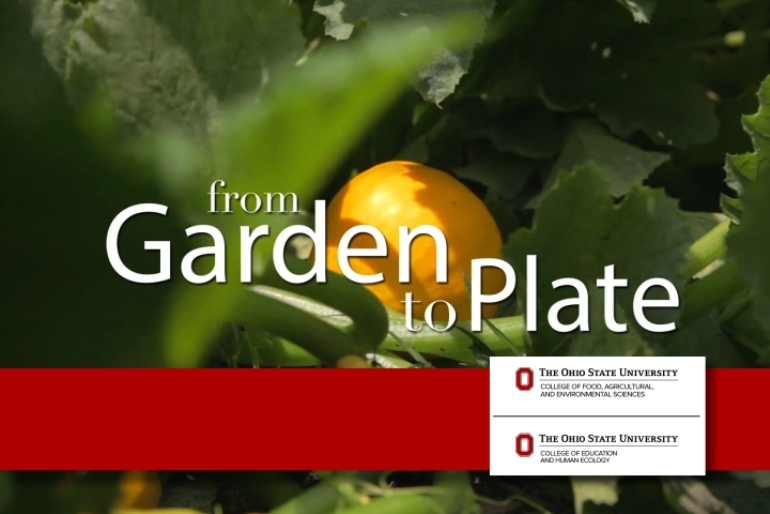 NEWARK, Ohio -- As Ohio gardeners head from the backyard into the kitchen, they can get ideas for how to use their tomatoes, cucumbers, green beans, herbs and spaghetti squash in a series of short videos from Ohio State University Extension. “We want to create an awareness that it’s simple to take foods from garden to plate,” said Shari Gallup, family and consumer sciences educator for OSU Extension. OSU Extension is the outreach arm of the College of Food, Agricultural, and Environmental Sciences. Gallup said the project started when a Master Gardener volunteer in Licking County attended Gallup’s Dining with Diabetes program. Dining with Diabetes is a series of classes led by OSU Extension and community health partners. 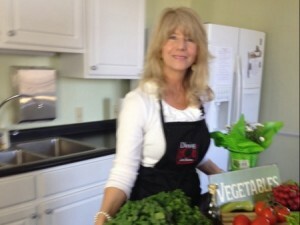 It includes diabetes education and cooking demonstrations for people with diabetes and their spouses and partners. The participant suggested that the Dining with Diabetes and the Master Gardener programs in Licking County team up. “That planted the seed,” Gallup said. Not long afterward, Gallup took some cucumbers, sliced while they were still warm from the garden, and offered them at the beginning of a Dining with Diabetes class. “They were gone by the time everyone sat down,” Gallup said. “Everyone loved them and wondered what made them different from cucumbers they normally ate. It took some time to put the project together, but the result is a series of Garden to Plate videos available online. The videos feature Shari Gallup and Linda James, Master Gardener volunteer and former home economics teacher at Newark High School. The project was a cooperative effort between Licking County’s OSU Extension Family and Consumer Sciences and Master Gardener programs. Licking County Senior Levy funds earmarked for diabetes education provided support. The videos were filmed at the Licking County Master Gardener Demonstration Gardens and the Bryn Du Mansion in Licking County.